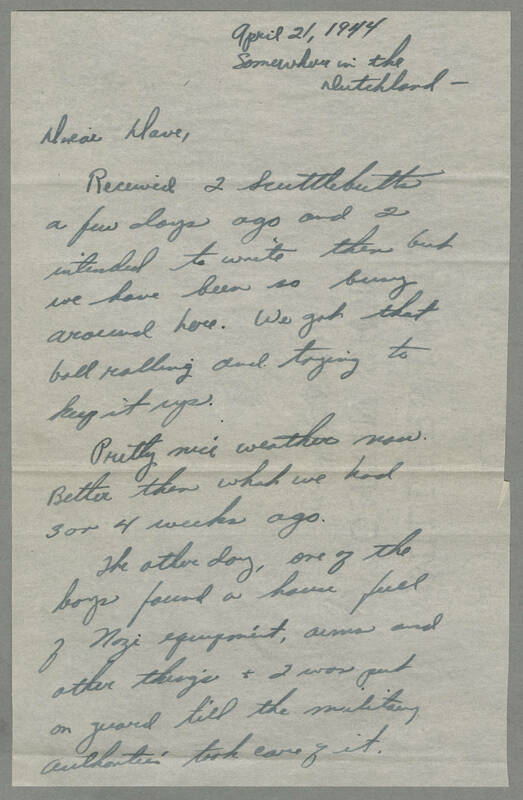 April 21, 1944 Somewhere in the Dutchland- Dear Dave, Received 2 Scuttlebutts a few days ago and I intended to write then but we have been so busy around here. We got that ball rolling and trying to keep it up. Pretty nice weather now. Better then what we had 3 or 4 weeks ago. The other day, one of the boys found a house full of Nazi equipmint, arms and other things & I was put on guard till the military authorities took care of it.